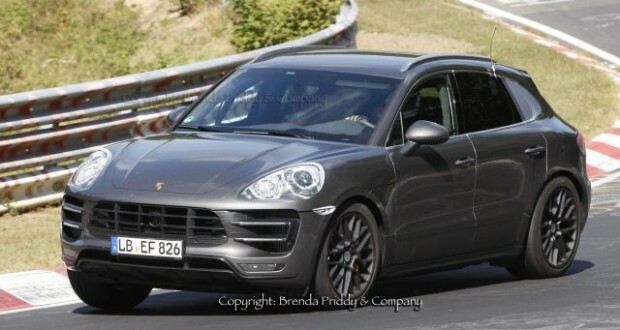 WHAT: A new all-wheel-drive crossover that’ll take Porsche into a fresh automotive category. Think of this as the baby Cayenne, similarly positioned as the driving-enthusiasts’ choice, but in a compact instead of a midsize package. Wearing familiar Porsche-SUV styling (though the headlamps here are disguised with decals), Macan will compete with the BMW X3, Mercedes-Benz GLK, and Range Rover Evoque. It’ll also tussle with the Audi Q5, though it’ll be a family feud. Macan is based on the underskin design of Q5; Porsche and Audi are both branches Volkswagen. A wider body, lower roofline, and racier interior will help position Macan as the sportier cousin, though. So will its powertrains: look for a choice of 3.0-liter twin-turbo V-6s, with 340 horsepower in the S model, 400 in the Macan Turbo. WHEN: Macan goes on sale in late 2014 as a 2015 model. WHY: Porsche purists blanched with the model-year 2003 introduction of the German sport-car maker’s first SUV, the Cayenne. It quickly became the brand’s best-selling vehicle – nearly outselling all Porsche cars combined. Macan is an entry in premium strata of one of the fastest growing automotive segments, compact crossovers, and Porsche is banking on a repeat of Cayenne’s success, at even higher volumes. In fact, it’s confident Macan will easily become its most popular vehicle, establishing a profit foundation that’ll allow it to keep building those pure 911, Boxster, and Cayman sports cars. HOW MUCH: With Cayenne base prices in the $51,000-$146,000 range, look for the Macan S to start in the low-to-mid $40,000s, with the Turbo coming in around $70,000. Of course, both will be available with Porsche’s legendarily long list of tempting extra-cost features, so Macan stickers – pushed by first-on-your-block demand — could easily climb by $10,000 or more.